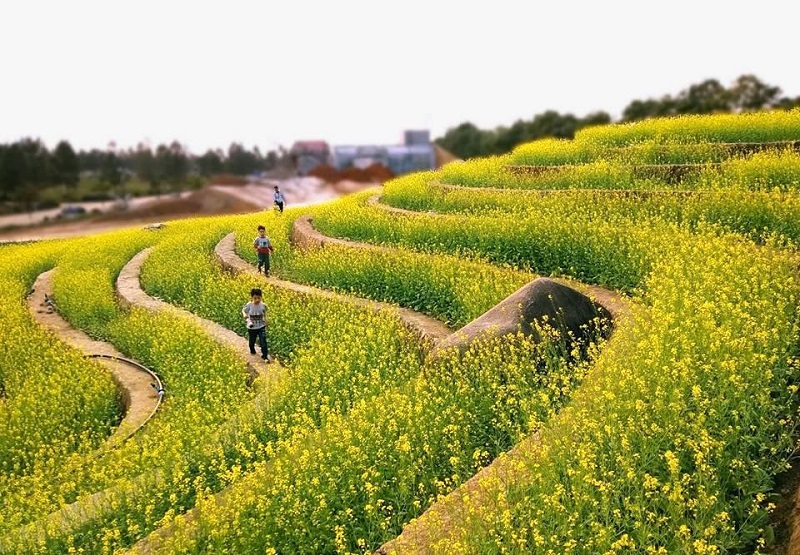 Located about 20 km from the center of Hanoi, the Dan Phuong district ecological area is where visitors are proudly sharing pictures of beautiful terraced fields such as Northwestern mountain with white cauliflower and yellow broccoli. 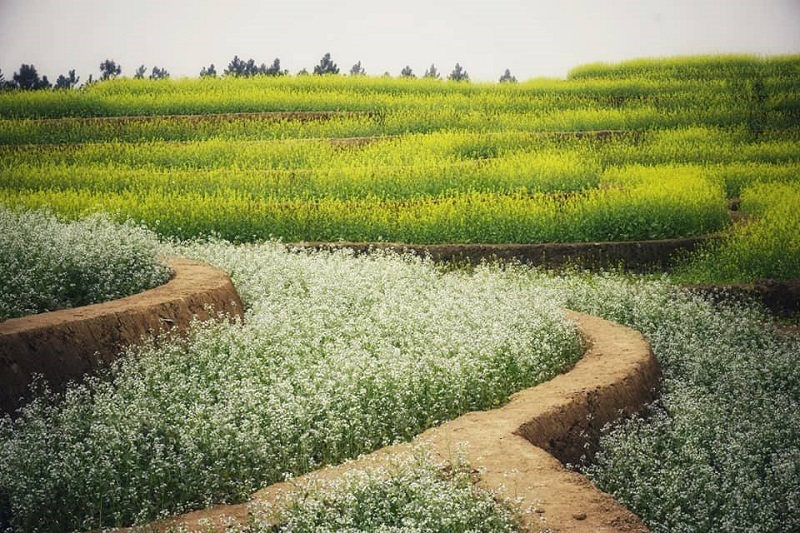 Here is a paradise of flowers with many beautiful flowers are bragging races: Which are the white flowers as snow, yellow broccoli as sunshine, rainbow butterfly flower color fragile ... for to the purple Bauhinia flowers blooming brilliant. Flowers here, the site is planted in low elevated rows intermittently as the terraced fields of the Northern mountains, another area is woven into immense carpet bring romantic and mineral characteristics of mountain forests in the heart of the capital. 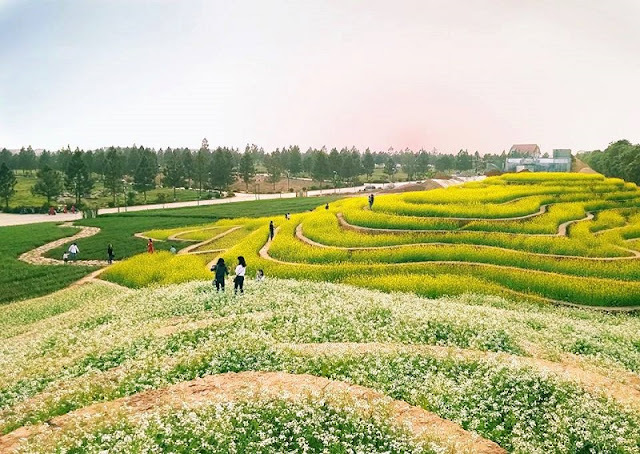 After posting on social networks, these images have attracted special attention from Facebook users especially young people who love to travel. Many young people in Hanoi have pulled together here to be spoiled for sightseeing, relax and take a picture of themselves brilliant flowers and terraced fields.